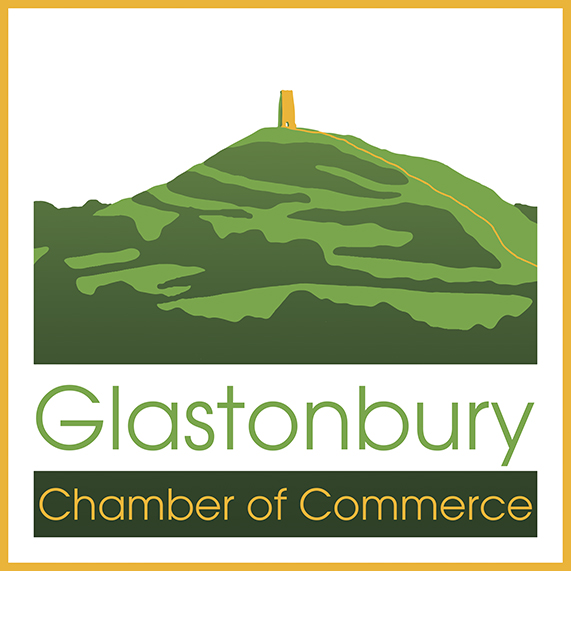 Glastonbury Chamber of Commerce was formed in 2016. Whilst there had been Chambers in the past, these had not been active for a few years. The decision to form a Chamber again was instigated by something that happened in 2015. 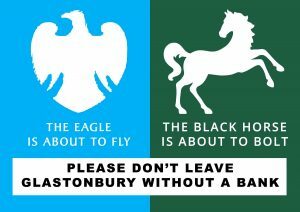 In 2015, Barclays, HSBC and Lloyds, the three High Street Banks in town, announced that they were going to close. This prompted several businesses in the town to get together and form the Last Bank Standing Campaign, to highlight the situation in the town, to make other communities aware of what was going on (if it could happen to a town that receives 750,000 visitors a year, it could happen anywhere), and to ensure that the town still had access to Banking Services. After a public meeting, the first event to be arranged was a rendition of Blake’s poem “Jerusalem”, which of course has strong connections to the town The “choir” was conducted by Charles Hazlewood and the resulting crowd took over the whole of the Market Cross area. The performance was picked up by the media and was even mentioned on BBC Breakfast. Supporting us that day was our local MP, James Heappey, who later raised the question of Bank Closures at PMQs in the House of Commons. He also spoke about the problems facing rural communities when Bank’s close at a meeting of the Select Committee on Access to Banking. When the Bank’s said they were closing they all issued impact assessments which stated that customers could use the Post Office as an alternative. Yet the Banks do not give the Post Office access to their network so customers end up with a second rate service, and in the case of Business customers, there was no agreement in place with the Post Office for delivering a service, so these customers were faced with treks to neighbouring towns to “bank”. Personal customers were steered towards using online banking, yet 30% of their customers do not do this – meaning that the elderly and disadvantaged were the worse affected. Lloyds were the last bank to close in April 2016 and ended a historic link with the town. The Bank was originally Fox, Fowler and Co until Lloyds took them over and were the last commercial Bank in England to issue their own banknotes. We knew that no Bank had ever changed its mind on closing one of its branches for fear of setting a precedent, so realistically we knew that it would be unlikely that they would stay. We therefore made great play of the words of their Chairman and Chief Executive on their claims about helping communities: work by the New Economics foundation has shown that the last Bank closing has a detrimental effect on a town’s economy. We also knew that there was a strong desire for Banking services in the town. The campaign team were also speaking to other financial institutions about filling the void. On the day that Lloyds announced its closure, Natwest announced that their mobile banking service would be visiting the town one day a week. Then, in November 2016 Nationwide Building Society announced that they would be opening a branch in 2017. In their initial discussions, Nationwide disclosed that they needed 300 customers to make it worthwhile. After their first consultation they had over 1200 people pledging to open accounts and the number is rising as consultations are now being held every two weeks. Nationwide Building Society is owned by its members and the behaviours shown in the past few months of dealing with them has shown them to be far more in touch with the local community than the previous Banks. The campaign was very successful, with regular regional TV coverage, articles in the national press, interviews on BBC Radio 4 and mentions in the House of Commons. In September 2016, Kevin Redpath of the Campaign gave a presentation about the story of the campaign at an RSA meeting in Frome. The campaign raised the profile of the town. The businesses coming together showed what could be achieved and thus it was decided to establish a Chamber of Commerce. The Chamber will be organising a number of events throughout the year. There will be events designed for networking, such as Business Breakfasts; there will also be talks on business related subjects and also the Chamber will be acting as the voice of Business for the Town.